Delivering outstanding convenience, this deceivingly spacious dual-level townhouse offers free flowing open plan interiors extending to a private rear alfresco courtyard, three generously proportioned bedrooms, two stylish bathrooms and internal access to the single, automatic garage. Securely positioned footsteps from New Lambton's shopping village, a vibrant cafe scene, Wests Leagues Club and popular Lambton High School, it makes a perfect first home, sound investment or easycare downsizing opportunity in one of Newcastle's favourite suburbs. 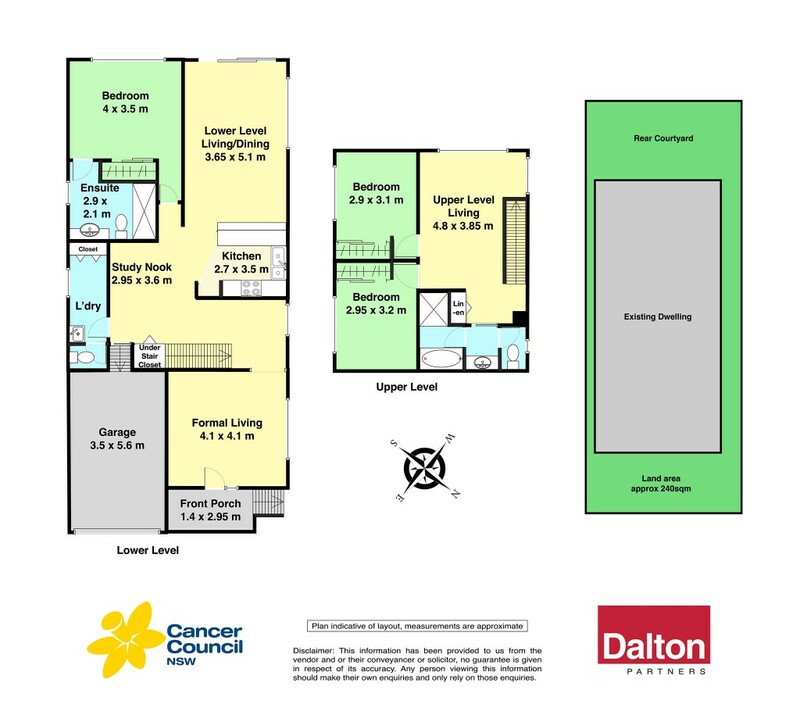 * Completely private townhouse less than a minute's level walk away from New Lambton's shopping village, vibrant cafe scene, popular schools and West Leagues Club. * Two distinct living areas downstairs, creating private retreats for all members of the household. * Versatile third living area / home office upstairs. * Contemporary living areas at the rear of the home effortlessly spill onto the private, easycare courtyard. * Modern kitchen is the central hub of the home and boasts stainless steel appliances and an abundance of bench/cupboard space. * Three liberally sized bedrooms, two up / master down - each appointed with BIR's designed to maximize storage options. * Master bedroom reveals spacious and modern ensuite. * Family sized three-way bathroom. * Single automatic garage with additional off street parking and internal access. * Ducted air conditioning throughout / well-equipped laundry with third WC. * Perfect for first home buyers seeking space, apartment upgraders, downsizers or intelligent investors looking to secure property in a high return suburb.